A courier came knocking this morning with this little gem, ordered by my outstanding husband. 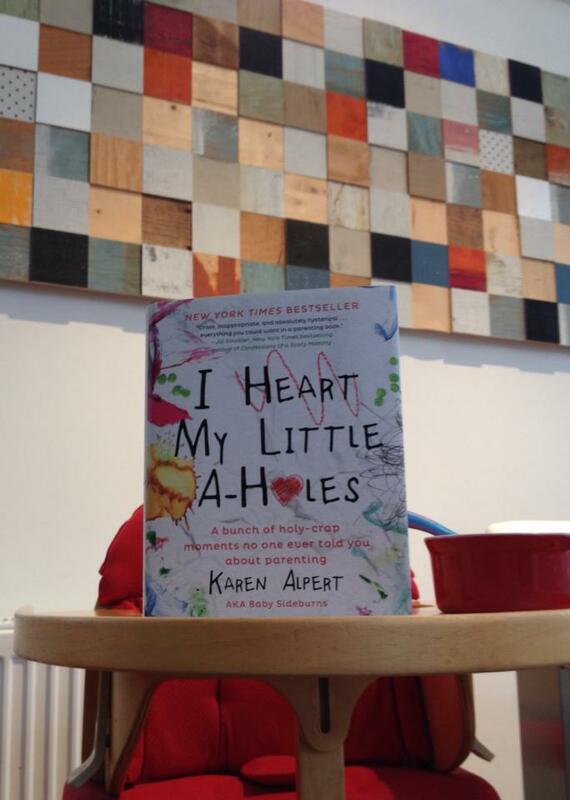 I’ve been wanting to read “I heart my little a-holes” by Karen Alpert ( Baby Sideburns) ever since she had it published. 1. The baby needs to fall asleep. 2. The dishes/laundry need to do themselves. 3. I need to go back in time to this morning and change the three year old’s punishment from “you will not be watching Frozen today!” to something else so that I can regain 98 minutes of relatively demand-free time. Failing that, I may fake a minor stomach upset that necessitates I sit in the loo all day while Someone Else looks after the kids.